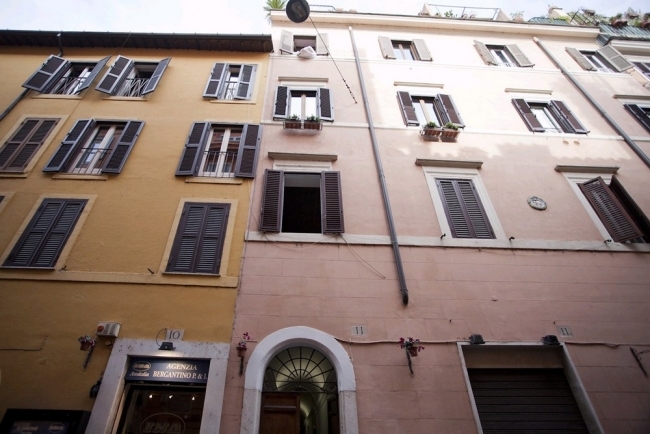 Rome's bustling centro storico (historic district) is where the locals go to shop. Via del Corso is a long street lined with shops that is closed off to vehicles on weekends. Via del Babuino and Via Margutta run along the foot of the Pincian Hill and have been renowned for their art galleries and studios since the 15th century. Lastly, Piazza di Spagna and Via Condotti are without a doubt the places to go for all the top names in Italian and international fashion. 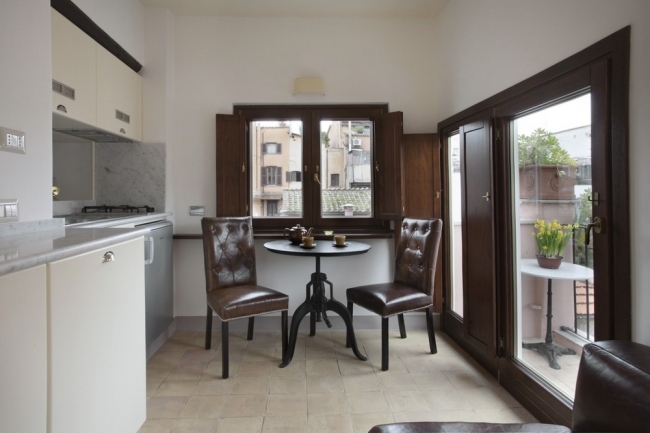 The apartment itself is situated in a historic building on a small, quiet street lined with shops, near public transportation (metro and minibus) and within walking distance of St. Peter's Basilica (20 minutes), and the Capitoline and Borghese museums (30 minutes). 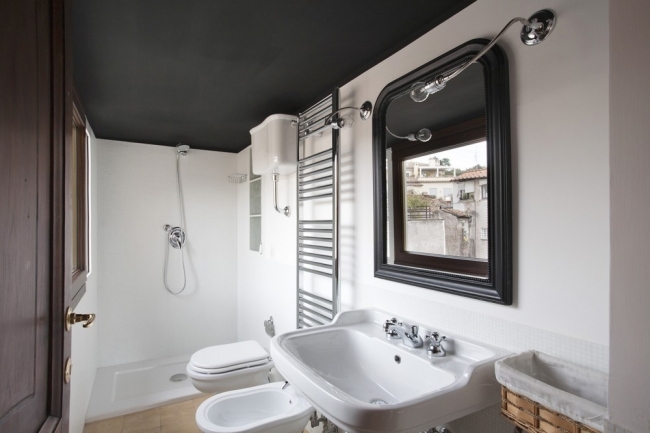 This fourth-floor, 1 bedroom apartment (26 m²) is cosy, bright and quiet. 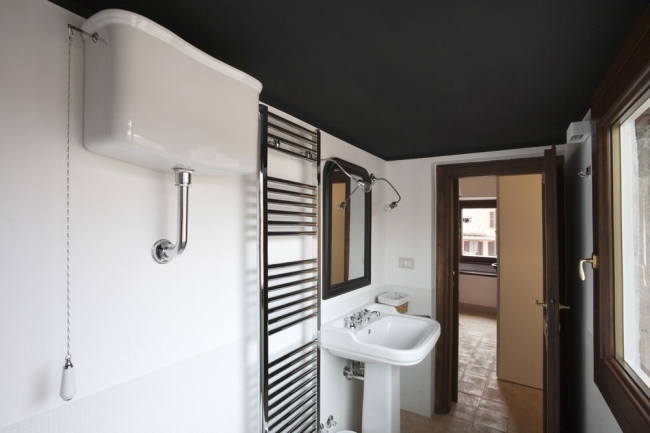 It has been completely renovated in early 2013. 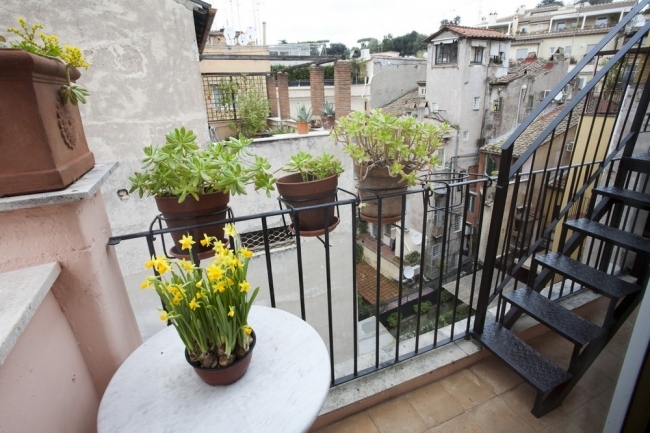 There is no elevator but the apartment features a rooftop terrace with an unobstructed view of the skyline and the Villa Borghese park. 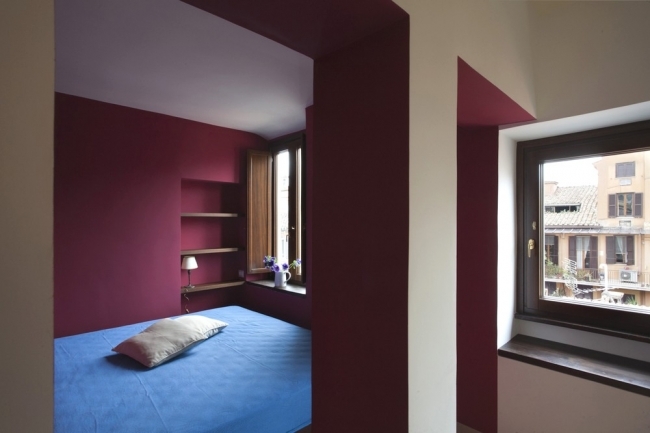 The apartment is very cosy with its colours and wood trim. The entrance (3m²) serves all the other parts. 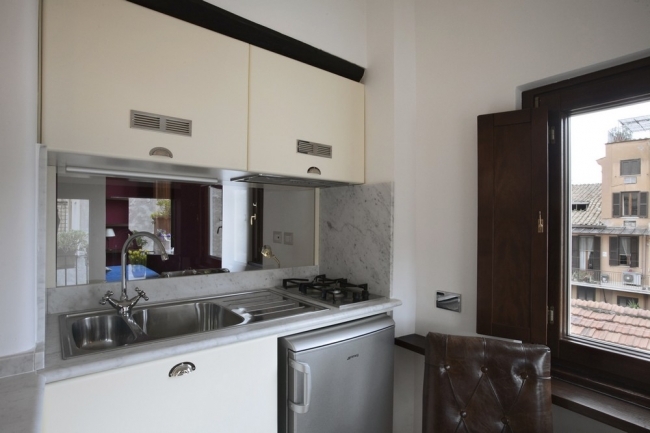 The living room/kitchen (8.80 m² - northwest facing) is fitted with a gas stove, a fridge. 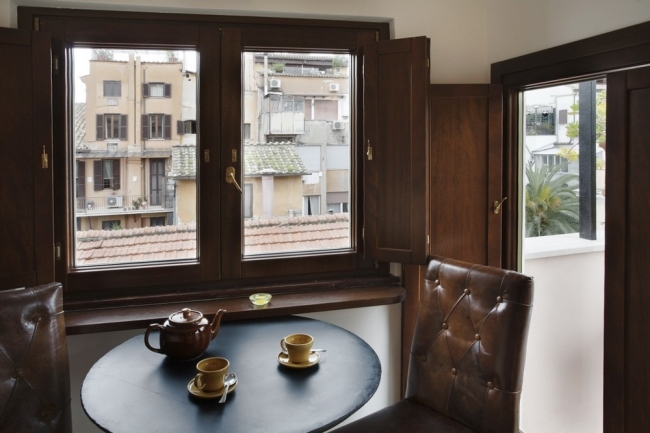 It also has a small round table with two chairs and a sofa A window has a view on the roofs of the neighborhood. You can access the terrace through a glass door. 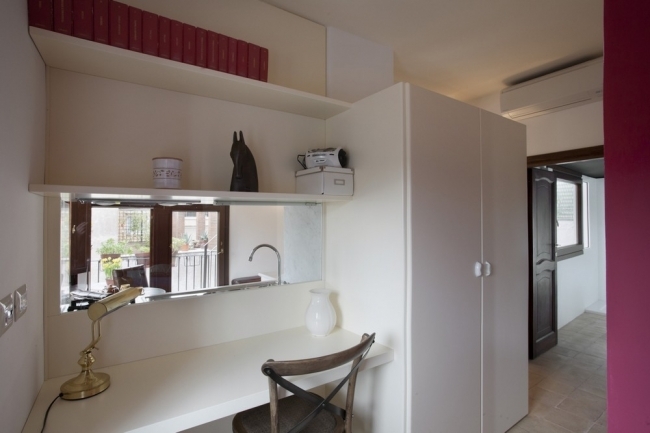 The study/office corner (3m²) is situated behind a windowpane overlooking the kitchen and providing light to this part of the apartment. It features a chair, a closet, shelves, and a radio/CD player. The bedroom is situated behind the study/office corner (6 m² - southwest facing), which offers a view of the neighbourhood skyline. It is totally equipped with a king-size bed. 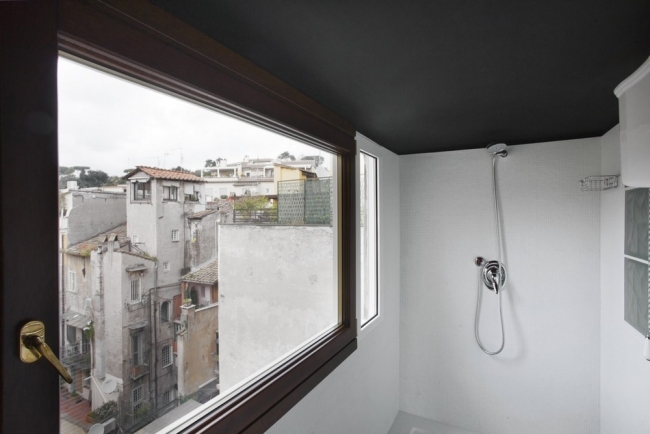 The bathroom is quite small (3.6 m² - northwest facing) but has a view of the skyline and is fitted with a bathtub and shower, sink, bidet, and toilet. 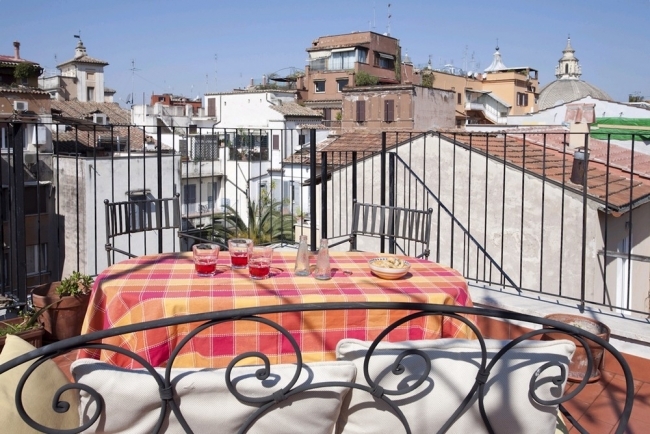 The apartment has a rooftop terrace (13.6 m²) with an unobstructed view of the city skyline and the Villa Borghese park and is set up with a table, two chairs and a parasol. The stairs in the building are very steep. The stairs leading to the rooftop terrace are very steep and narrow, and are not recommended for people who are scared of heights! Schedule: departs every 30 minutes, from 6:37 a.m. to 11:37 p.m. towards the Termini railway station, and from 5:52 a.m. to 10:52 p.m. towards the airport. A taxi from Termini (Piazza dei Cinquecento) can cost anywhere between 10€ and 15€ + any surcharges (luggage, evenings, and bank holidays). 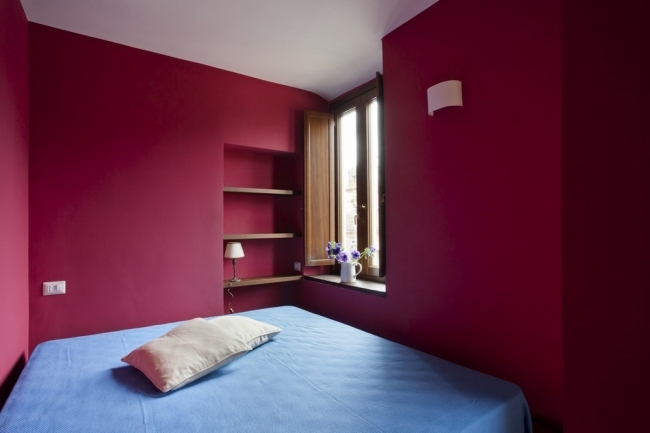 For more information, visit www.atac.roma.it. The metro operates every day from 5:30 a.m. to 11:30 p.m., and until 1:30 a.m. on Fridays, Saturdays, and special days. 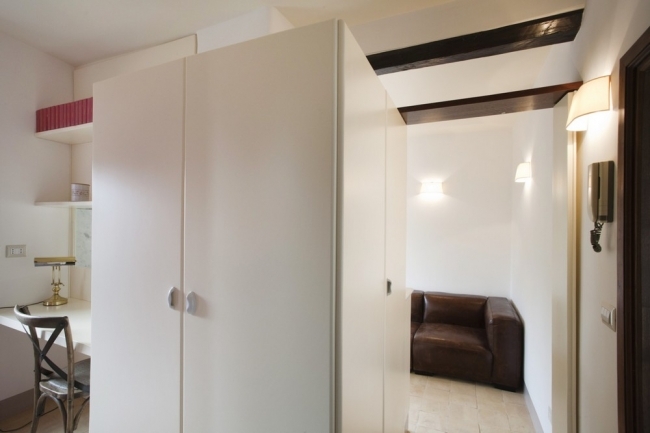 There is a cloakroom at the Termini station open from 6 a.m. to midnight at quay 24, in the basement. Cost: 4€ per bag for 5 hours.